A long-time favourite with tourists and locals alike, Peking Garden at Tsim Sha Tsui has recently undergone a complete facelift in celebration of its 40th anniversary. 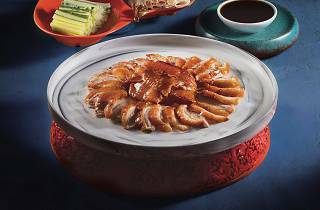 Aside from the sleek new interiors, the restaurant has also revamped its menu to include more dishes inspired by Beijing’s imperial cuisine. 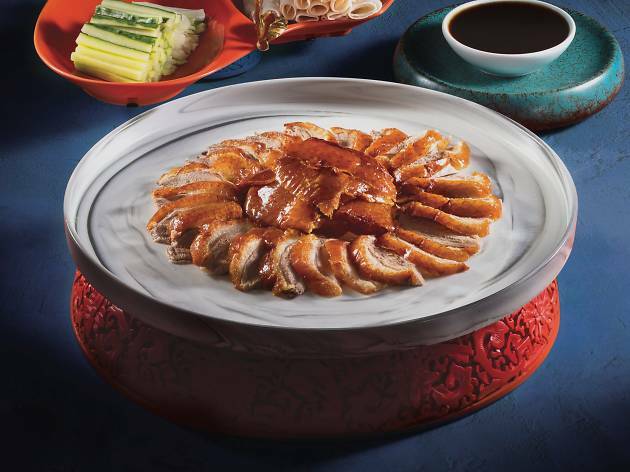 Old favourites remain, of course, including the signature Peking duck and the elaborately presented beggar’s chicken, which is set aflame and then cracked open with a large golden hammer.